Peaceful protest is often the road to dialogue and amicable resolution. 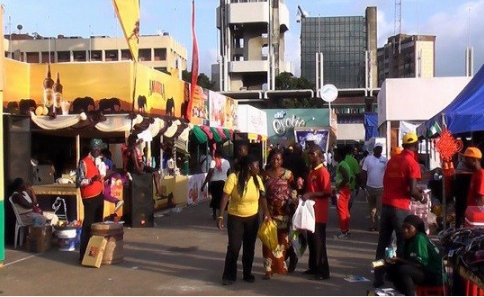 After locking traders at the Lagos International Trade Fair out of their stalls for hours, they have finally been allowed entry to resume business activities at the fair following a protest by those affected. According to traders who protested at the premises, no tangible reason was given by the government on why they were shut out. The place was finally reopened after the sudden closure. Recall that traders who were unaware of the development arrived their shops at the Trade Fair in the early morning of Monday, 18th of March, 2019 for their normal businesses only to discover to their surprise that all the gates leading to the Fair had been shut. The drama is over.